Modern law departments and law firms must have effective technology in place to achieve its performance objectives, and these systems must be optimized to deliver effectively for the corporation or firm. Mose often, the critical technologies are document and content management, electronic billing, matter management and contract management, and Morae Global provides deep expertise in all four. We have built partnerships with leading software providers to thoroughly understand their product offerings, compare and contrast the features and provide guidance to our clients during the selection phase. Our professionals have deep experience implementing and working with document and content management systems including Box, Documentum, OpenText, iManage, M-Files, NetDocuments, Microsoft, Worldox and many more. But at Morae Global, we know that the technology is not enough. It is the combination of technology with strategy, people, process and data that ignites performance. Technology and process expertise. Because we view technology as a key advantage for law departments and law firms, only Morae Global has the expertise to fully leverage technology as a tool to support process. We pair the right processes with the right technological functionality to build systems that work for the legal team. No need to build from scratch. We leverage hundreds of previous implementations to deliver a best-practices starting point based on your industry, department size, style and geography. We then customize an approach for your project and specific challenges. Full range of practitioners. Only Morae Global has practitioners, consultants, technicians and former general counsel on staff who have implemented legal technology on an enterprise level and global scale. Our efficient, flexible approach is based on lessons learned from implementation engagements with the world’s most demanding and complex companies. We use iterative cycles to maximize project success and mitigate project risk. Enabling feedback early and often during the project results in no surprises and strong user adoption – ultimately delivering a higher return on investment. Prepare detailed requirements covering business, functional and technical areas which focus the team on selecting the right tool and form the basis of design activities. Assist Legal/IT in understanding the costs and benefits of each system and any associated infrastructure requirements. 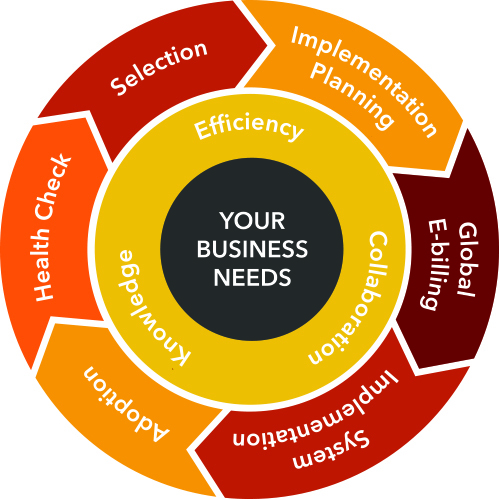 Execute on requirements by providing best practices, innovative thinking and tailoring to business needs. Perform a needs assessment to size, estimate and plan for the level of effort, resources, time and budget required. Define and prioritize the business and technical requirements of each (and often competing) stakeholder. Perform a stakeholder analysis to quantify the impact to each affected group and the readiness of each group to adopt new processes and technology. Develop and deliver a prioritized implementation plan with tasks, roles, responsibilities, deliverables, milestones and dependencies. Design and document workflows to support and enhance your current operations. Configure your system’s technology to align with your company’s specific needs, including the creation of templates, users, roles/permissions, data source connectors, notification settings, etc. Migrate existing data from current systems, spreadsheets and databases into a new system for use on Day 1. Design and execute tailored testing scenarios to validate that the design satisfies your company’s requirements. Provide the necessary project management support throughout. Draft communications to socialize changes across the organization, educate impacted stakeholders and build excitement. Create training materials, such as step-action operating manuals and training presentations. Conduct end-user and/or administrator training to build internal expertise and position you to be self-sustaining. Provide post-implementation support to monitor system performance and offer supplemental training, as needed. Evaluate current technology to ensure full functionality and modules purchased are being optimally leveraged. Enhance processes to more efficiently manage the full range of matter needs, data volumes and workflows. Develop solutions to address pain points and/or resolve process gaps. Measure user adherence to your policies and standard practices to quantify potential risk areas. Validate alignment between your existing technology in use and your future state vision. Morae Global is trusted worldwide to transform legal, risk and compliance through results-oriented and technology-enabled solutions, and reinvent the legal function as an efficient and integral part of the business value chain.